Although the two words sound and appear similar, they are entirely two different beasts. Some will say that their watch is a chronometer and others might say that it is a chronograph, thinking that the terms are interchangeable, but in reality they are not. In short, a Chronometer relates to accuracy, and a Chronograph is a stopwatch function (hence the “graph” in Chronograph). Dubbing a watch a “Chronometer” requires testing and accreditation from a certified independent standards laboratory, historically associated with an observatory that measures the movement towards a set standard of accuracy. Prior to atomic clocks, observatories such as the Kew, Greenwich, Glashutte, Besancon, Elgin and the Naval Observatory in United States provided means for comparing and certifying watch accuracy. After the advent of atomic clocks, watch accuracy certification did not necessarily require an observatory to benchmark accurate time keeping. The Swiss standard for accurate time keeping and movement reliability is the Contrôle Officiel Suisse des Chronomètres, more commonly known as COSC. A watch with a COSC certificate will be of high quality, and not deviate more than -4 to +6 seconds a day. A sign of a high quality movement is that its rate might be +1 or -2 seconds a day, but that it is a consistent deviation, rather that the deviation varying from day to day (eg. +1 one day, and -6 the subsequent day). COSC tests movements without a watch case or winding mechanism over a 15 day period in five positions and at three different temperatures. 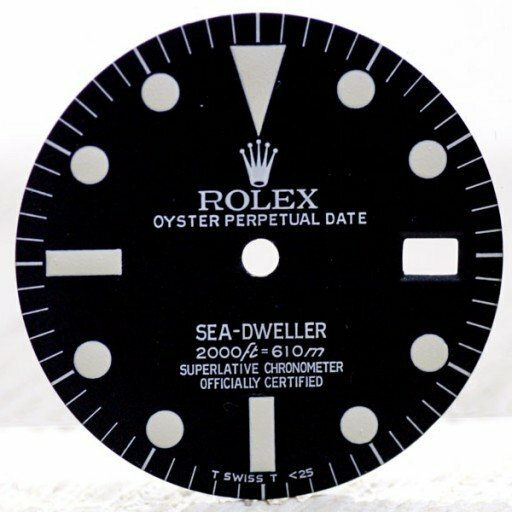 Watches such as Rolex that are true Chronometers, will mostly have a designation on the dial indicating “Officially Certified.” The dial of almost every COSC certified Rolex wristwatch is the marking “Superlative Chronometer – Officially Certified.” Other watches such as Omega and Breitling also have Officially Certified on the dial after being COSC tested. A Chronograph, on the other hand is a watch with a built in stopwatch feature that typically has some sort of return to zero button on the side of the watch case. Most chronographs have two or three subdials listing hours, minutes, and seconds. 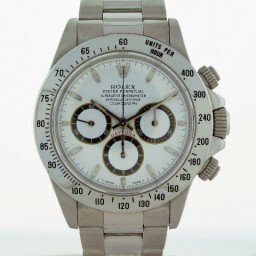 Chronographs such as the Rolex Daytona and the newer Omega Speedmasters can also be certified as Chronometers, and perhaps the reason why people confuse the terms, but a Chrono graph is easy to discern by the subdials and the reset buttons in the side of the case. Similar terms, but entirely two different meanings.